Several items of interest to certain European Apple fans have surfaced over the past few days, including news of a forthcoming retail store in Amsterdam that would be the company's first in the Netherlands, as well as reports of the iPad launching throughout Scandinavia tomorrow. Dutch site One More Thing reports [Google translation] that Apple is preparing to open its first retail store in that country. 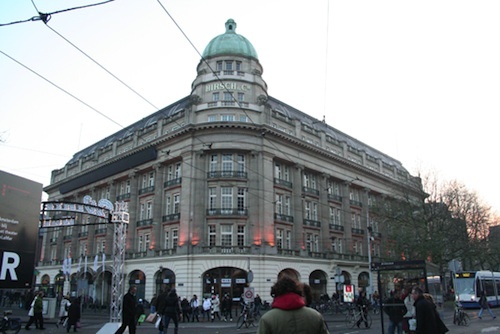 The store, reportedly set for a debut in the spring of 2011, is said to occupy a portion of the ground floor of the Hirsch building on Leidseplein in Amsterdam. Apple's corporate headquarters for the Benelux region already occupy the third floor of the building. Meanwhile, numerous news sources out of Scandinavia are reporting that the iPad will officially launch in their countries tomorrow, with third-party retail partners gearing up with early store openings to support the launch. Reports have been coming in today from Denmark, Norway, Sweden, and Finland regarding the iPad debut, with Apple spokesmen in several of those countries confirming the launch.